Only 8 LE CVT models left in stock! FUEL EFFICIENT 38 MPG Hwy/30 MPG City! WiFi Hotspot, Lane Keeping Assist, ALL-WEATHER FLOOR LINER PACKAGE, Back-Up Camera, iPod/MP3 Input, Smart Device Integration. 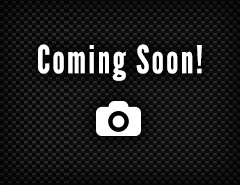 BLIZZARD PEARL exterior and LIGHT GRAY interior, LE trim CLICK NOW! Back-Up Camera, iPod/MP3 Input, Onboard Communications System, Smart Device Integration, Lane Keeping Assist, WiFi Hotspot. MP3 Player, Keyless Entry, Remote Trunk Release, Child Safety Locks, Steering Wheel Controls. ALL-WEATHER FLOOR LINER PACKAGE cargo tray, All-Weather Floor Liners. Toyota LE with BLIZZARD PEARL exterior and LIGHT GRAY interior features a 4 Cylinder Engine with 139 HP at 6100 RPM*. As a member of the LAcarGUY auto dealer organization, drivers from Venice, Malibu, Palms, and Culver City know Toyota Santa Monica is one of the most dependable dealerships for new Toyota vehicles, pre-owned cars, and routine auto maintenance. 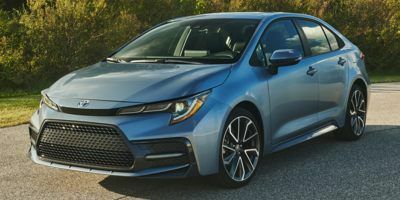 As a car dealership built around sustainability, our green cars—like the Prius and the Camry Hybrid—are some of the most popular models in our new vehicle inventory. We also have the rest of the Toyota lineup, so drivers needing a powerful pickup like the Tacoma, a versatile SUV like the Highlander, or a dependable family vehicle like the Sienna can find what they need at Toyota Santa Monica. You can trust our sales team have your best interests at heart, too, as none of us work on commission. Our used vehicle inventory has select Certified Used Toyota models as well as used cars of nearly any make and model. After a quick trip to our finance department, you’ll be out on the road behind the wheel of your next vehicle—you can start our finance application online, before you even visit us. We hope to see you again after handing over the keys, as our state-of-the-art service center is staffed with Toyota-trained technicians who enforce our Toyota Express Maintenance promise: quick and easy turnaround for all your routine maintenance needs. Our service team handles everything from the routine to heavy-duty repairs, and our waiting room has gourmet coffee, Wi-Fi, and electronics charging stations to keep you comfortable during your short wait—take advantage of our complimentary shuttle service if you don’t have time to wait. 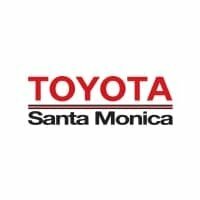 Toyota Santa Monica is here to serve you, whether you’re buying a car or taking care of one; contact us today if you have any questions. Stop by our dealership at 801 Santa Monica Blvd, conveniently located for Venice, Palms, Malibu, and Culver City, and be sure to ask us about the different ways we strive to be a green auto dealership.